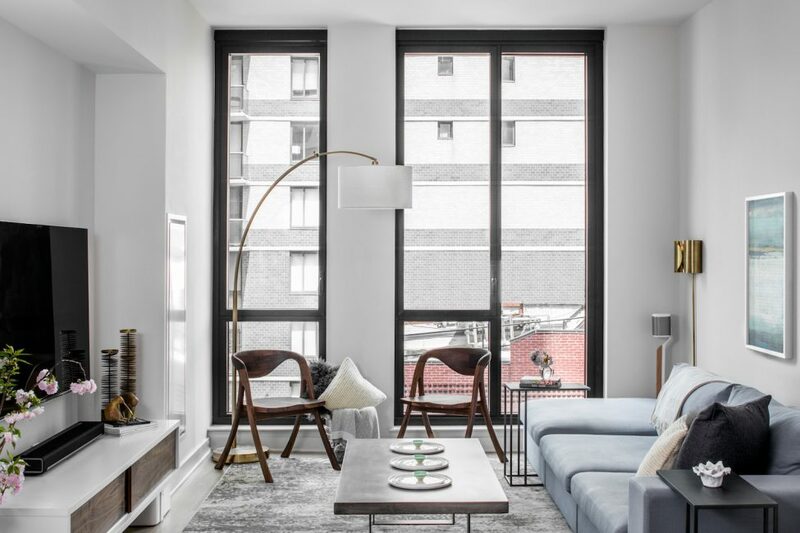 When a bachelor financial analyst purchased a new condo with floor-to-ceiling windows overlooking Gramercy Park, he reached out to Decor Aid, and tasked us with creating a space that could encompass his highly refined, minimalist sensibility. 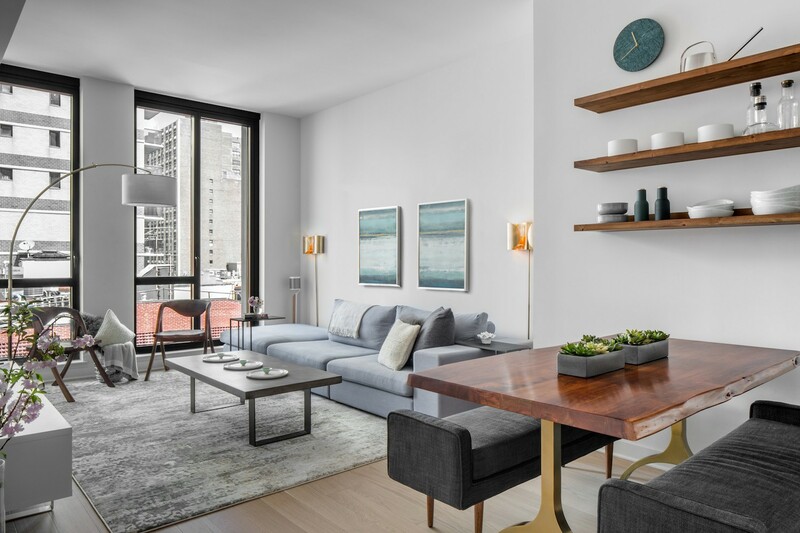 Upon arriving at the apartment, we noticed that one of the space’s most enviable qualities, floor-to-ceiling windows, would also be our biggest design hurdle. From the get-go, we resolved to selected low-to-the-ground furniture pieces, which accentuate the picturesque views of Gramercy Park. A tranquil vibe was of the utmost importance, and so all of our furniture selections had to incorporate organically shaped furniture pieces. Beginning in the living room, we picked a low-profile section, giving the space a relaxed vibe, without disrupting the view. A reclaimed wood table from West Elm was the perfect blend of modern and organic elements. A duo of upholstered benches facilitate a seamless flow from the kitchen to the living room, and provide extra seating, optimal for entertaining. But we weren’t just designing for one client. Panda, a dog, also calls this space home, and so we had to pick fabrics which could withstand pooches. With a dedication to sustainble fabrics, our client had us pick out bedding from Boll & Branch and Coyuchi, adorning a masculine bed frame from CB2. Wall-sconces that feature gold accents were placed throughout the apartment and give the space a soothing low-level lighting option. Wood shelves with built-in hardware were installed over the table, giving our client a space to show off Hasami porcelain wears. Final accents include personalized statement pieces from Menu Furniture, and installed a wireless television.